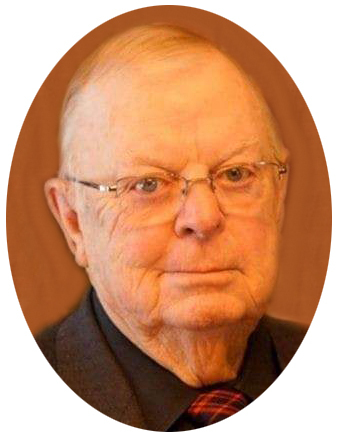 It is with sadness the family of James "Jim" Reid McDonald of Saskatoon and Wiseton, beloved husband of Rae, passed away suddenly on November 19, 2018 at his home in Saskatoon at the age of 82 years. Jim McDonald was born on February 2, 1936 (Groundhog Day) in Elrose, Saskatchewan. Jim was the youngest of 13 children of Edward and Sadie (née MacBeth) McDonald. Jim spent his entire life primarily on the farm and in the Village of Wiseton. Jim is survived by his loving family, his wife of 44 years Rachel Madeline (née Blenkinsop); three children Ross (Jan) McDonald, David (Sandy) McDonald and Debra (Bob) Pederson and five grandchildren Kent McDonald (Jenn Thibeault), Alysse (Jeff) Perron, Josselyn McDonald, Evan Pederson (Shelby Bergen) and Carlyne Pederson (Ryan Kimmerly). Jim was very proud to also be a great-grandfather to River, Maverick, Jacob, James and Jade. He is also survived by his three siblings Helen McDonald-Lewis, Faye Waite and Jack (Carol) McDonald and sister-in-law Kay McDonald. He was predeceased by his parents Edward and Sadie, in-laws Neville and Margaret Blenkinsop as well as siblings Beth, Marnie, Jean, Edward, Dorothy, Ray, Duncan, Olive, Burns, brothers-in-law Ivan McDonald, Bob Mogan, Ellis Topp, Osborne Thrasher, Don Brown, Keith Waite, Bill Lewis and sister-in-law Mabel McDonald. Jim’s legacy was his love of the land and his pride in his family and community. A Celebration of Jim's life will be held on Saturday, November 24, 2018 at 2:00 p.m. at the Wiseton Memorial Hall with Reverend Jo-Ann Hills officiating. Donations in memory of Jim may be made to a charity of choice.